Pear stony pit is a serious disease that occurs in pear trees around the world, and is most prevalent wherever Bosc pears are grown. It is also found in Seckel and Comice pears, and to a much lesser degree, may affect Anjou, Forelle, Winter Nelis, Old Home, Hardy and Waite pear varieties. Unfortunately, there are no options for treating pear stony pit virus, but you may be able to prevent the disease from occurring. Read on to learn about pear stony pit prevention. Dark green spots on pears with stony pit show up about three weeks after petal fall. Dimpling and one or several deep, cone-shaped pits are usually present on the fruit. 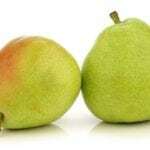 Badly infected pears are inedible, turning discolored, lumpy and gnarled with a stone-like mass. Although the pears are safe to eat, they have a gritty, unpleasant texture and are difficult to slice. Pear trees with stony pit virus may display mottled leaves and cracked, pimpled or rough bark. Growth is stunted. Pear stony pit virus is transferred by propagation with infected cuttings or grafts. Researchers have determined the virus isn’t transmitted by insects. Currently, there is no effective chemical or biological control for treatment of pear stony pit virus. The symptoms may vary somewhat from year to year, but the virus never completely disappears. 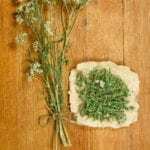 When grafting, rooting or budding, use only wood from healthy stock. Remove severely infected trees and replace them with certified virus-free pear trees. You can also replace diseased trees with other types of fruit trees. Pear and quince are the only natural hosts for pear stony pit virus.